Doral is the fastest growing community in the Miami area for good reason. It has a strong economy, a commitment to a high quality of life for its residents, and is in one of the most scenic locales in the Southeast. Atlantic Pacific Development announced recently plans on tapping into the booming growth of the area. It has purchased land for a 360 unit to be built on the southeast corner of 107th Avenue and NW 74th Street called Doral Grande. The 30 acre development will have 15 three-story buildings with 24 units each. Each unit will have stainless steel appliances and community amenities. Among these include a conference room and a movie theater. Construction is planned to begin in March of 2013 and to be completed in January 2014. The Doral real estate market has been relatively stable, even during the housing bubble bust, but there is a trend among homeowners towards renting. Alex Lastra, VP of development at Atlantic Pacific, stated in the April 2011 edition of the Daily Business Review that there has been a drop in homeownership. Nationwide homeownership has dropped 66.5 in the first quarter of 2011. According to the US Census Bureau this is the lowest figure since 1998. Many homeowners have been hit hard by the economy, and renting their homes would seem to be a more attractive option than purchasing one in some instances. Renting may also be an economical way for couples and retirees to have a home without the worry of maintenance and property taxes. Doral Grande will offer one bedroom units for $1,330, two bedroom units for $1,650, and three bedroom units for $1,850. Doral Grande will be located right next to two other very popular townhouse and single family developments; Doral Isles and The Reserve at Doral. There are home available for rent in Doral Isles, but they run from $1,500 to $5,000 per month. 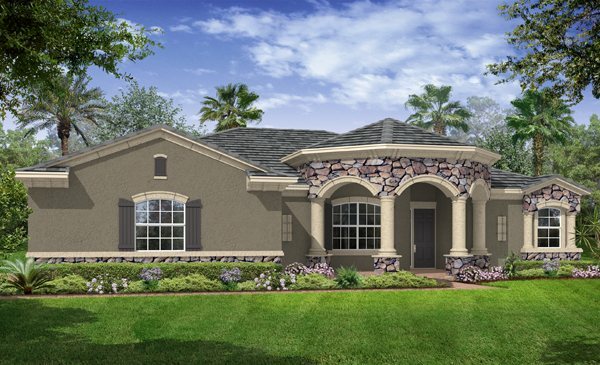 At The Reserve at Doral homes are available for rent also with rents ranging from $2,500 to $3,400 per month. Although the rents planned for Doral Grande are very affordable, the development will have access to all of the things which make living in Doral so great. These include top rated schools, access to several world class golf courses, easy access to the Miami/Dade area, and the many green and community areas dedicated by the City of Doral for their residents. The Atlantic Pacific Development Company hopes to tap into the growing demand for high quality and affordable housing. The company owns between 5,000 and 6,000 units, mostly in Florida. And it also manages 20,000 units nationwide. Life in Doral seems to be just getting better. With new developments and a healthy real estate market, Doral is a vibrant and thriving community. Since its incorporation in 2003 the City Council has not voted to raise property taxes. Its schools are among the highest rated in the state and the country, and Doral has a reputation for being a safe and secure community. Developments like Doral Grande will continue to enhance and improve the quality and availability of housing which draws new residents to the City every day.